For professional, licensed & insured tree trimming or tree removal services in Cape Coral, Fort Myers, and the North Fort Myers area call McFarlane's Lawn & Landscaping today at 239-220-8709. We provide free quotes and guarantee your satisfaction. Choosing the right contractor to do tree trimming or tree removal services for your home or business is a big decision. You need to be sure they have the right equipment, licenses, and insurance necessary to perform the work. Here at McFarlane's Lawn & Landscaping we have all the equipment necessary to safely trim or remove a tree from your property and have all the licenses and insurance to protect you, our employees, and our company. We even offer additional services that complement our tree removal services like stump grinding and sod installation. 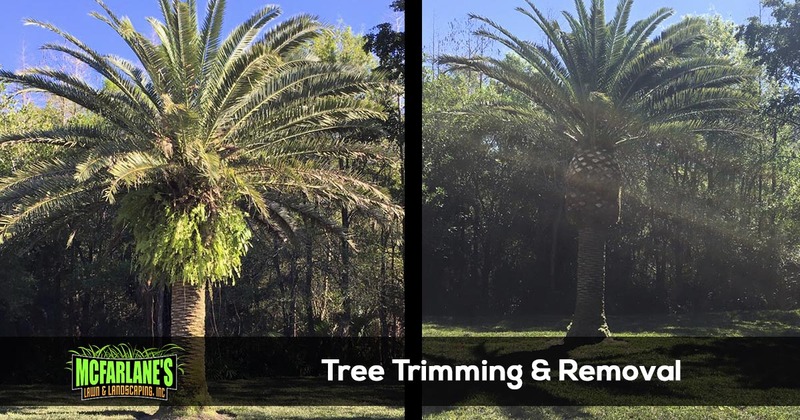 McFarlane's Lawn & Landscaping offers a variety of tree services including tree trimming, tree removal, tree planting, palm tree trimming, and stump grinding. We have the necessary equipment and experience to get the job done safely and on time. Whether you have dead branches on a tree or limbs that are just too close to your home, we are able to safely trim any type of tree in the Cape Coral and Fort Myers area. Tree limbs are close to or over power lines. Tree branches are close to or overhang your home. There are dead or broken branches. Tree limbs are growing close to the ground. Some of the benefits of trimming your trees include having a healthier and stronger tree, allowing more sunlight to reach the ground below the tree to encourage flowerbed or grass growth, and to protect your property from damage from storms and high winds. Trimming palm trees is very different than trimming a typical tree. For starters they don't follow a strict pruning schedule like many other ornamental trees, so they need to be maintained regularly for them to remain healthy. Most palm trees are trimmed for appearance purposes by removing brown fronds. One mistake we commonly see is over pruning the palm tree by removing green healthy fronds, only dead or dying fronds should be removed. The reason for this is the more healthy fronds you remove from the tree the more stressed the tree will become. Here at McFarlane's Lawn & Landscaping we have the experience and tools to properly and safely trim your palm trees so they remain healthy and beautiful. McFarlane's Lawn & Landscaping offers professional tree removal services in the Cape Coral and Fort Myers area. We are licensed and insured for your security and have a team of experienced tree removal experts that have been taking down trees in the area since 2010. Even with as much experience as we have tree removal is still a very dangerous job. Many homeowners fear the tree falling on their house or hitting a powerline or damaging other landscaping or structures on the property. We understand your concerns and are welcome to discuss them with you prior to performing any of the work. Before starting work our team will develop a plan to safely remove the tree from your property without causing damage to your home or other property. Once the tree is down we will prepare it for removal from your property or if you choose we can cut it up and you can use it for firewood. Once we are done we even offer stump grinding and sod installation services so you can get your beautiful lawn back. For professional and safe tree trimming and tree removal services call the tree experts at McFarlane's Lawn & Landscaping today and get a free no-hassle quote. 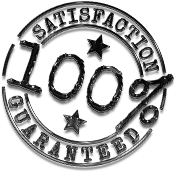 We guarantee your satisfaction and have the necessary experience, licenses, and insurance to get the job done right.